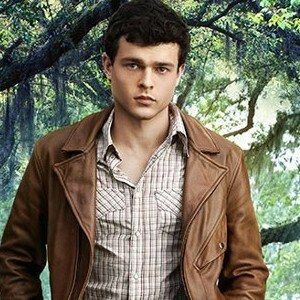 Following the first character poster from earlier this week, Warner Bros. has unveiled three new character one-sheets for Beautiful Creatures. These posters showcase Emmy Rossum's Ridley, Alden Ehrenreich's Ethan, and Thomas Mann's Link. Take a look at the one-sheets, along with breakdowns on each character. "Ridley Duchannes (born Julia Duchannes) is a main character in The Caster Chronicles series. She is Lena's cousin and childhood ex-best friend as well as Link's on-again/off-again girlfriend. She became Dark on her 16th Moon and is a Siren; a seductress who can easily entrap human minds and squeeze information out of them and control them at will, also in addition make them infatuated with her." "Ethan Lawson Wate is the central character and main narrator of The Caster Chronicles series. He is a teenage boy who has grown up in Gatlin, a town located in the Southern part of the United States and where nothing ever happens. He has dreams about leaving to travel the world and even has a map outlined of the places he dreams of visiting to one day and not become "stuck" there like many of the town's residents." "Ethan's best friend since their childhood, son of Mrs. Lincoln and the on/off boyfriend of Ridley Duchannes. He is shown to be goofy and joking, but expresses a serious side when it comes to Ridley; with whom he falls in love with. He discovers the existence of the Caster world and discovers Ridley is a Dark Siren, but loves her anyway despite how she constantly messes with his head and emotions. In the second novel of the series, he gets bitten by John Breed and turns into an Incubus. As a result of this, many girls develop an infatuation with him, flirting him; inciting vicious jealousy in Ridley though she denies any feelings towards him." 66th Primetime Emmy Awards Winners!